Happy Chinese New Year everyone! This year is the year of the Monkey. Here’s to a healthy and happy year ahead! 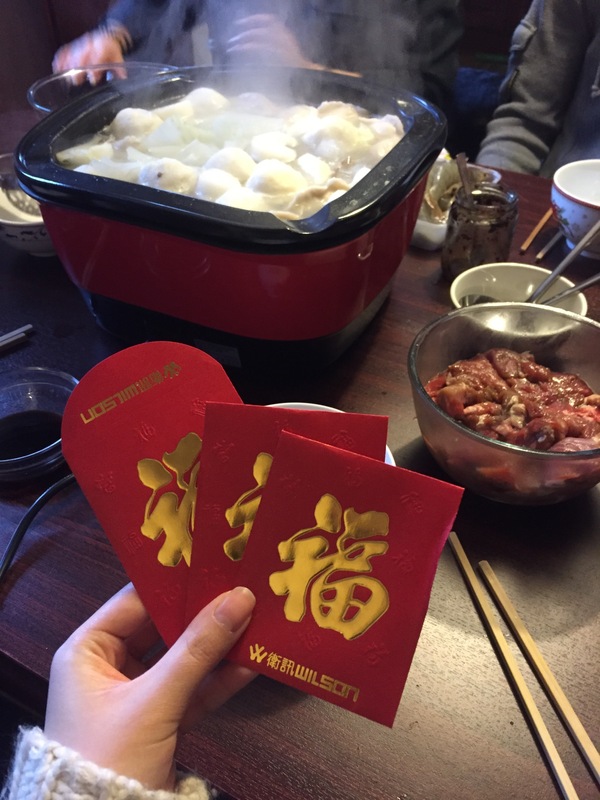 I went home to visit my parents and ring in the Spring Festival. 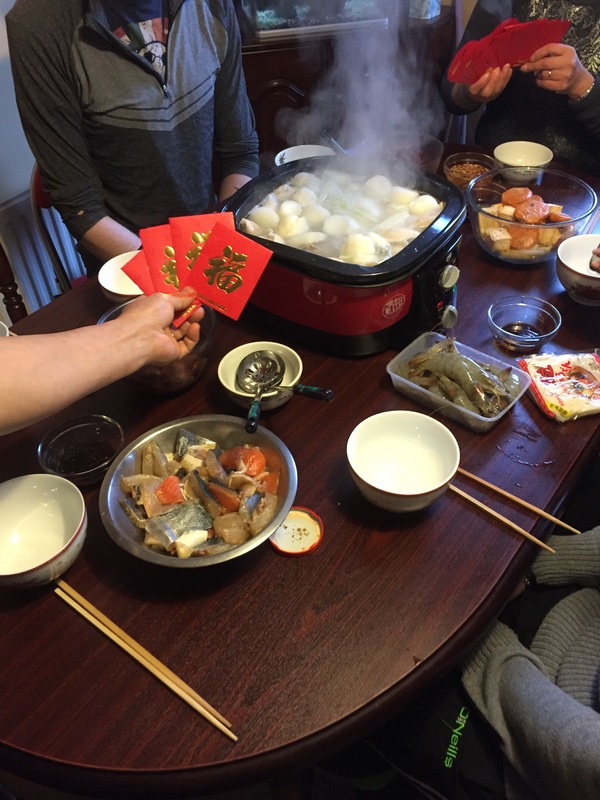 We had a family hot pot with fish, prawns, sliced beef and lamb, dumplings, veg and noodles. Received lucky red envelopes from my parents too! Then for today’s dinner we went and took all the leftovers from yesterday and had another hot pot since one just wasn’t enough!